The Mishna Berura (halachot birchat hamazon, siman 187) mentions a variant wording of the birkat hamazon that is said by women. Precisely what is this wording and when was it used and when was it abandoned? This is pretty common in old* Siddurim. 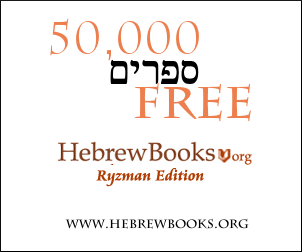 You can see omitting just ועל בריתך שחתמת בבשרינו on Hebrewbooks here here here here and here and on Hebrewmanuscripts.org manuscript #747. You can see omitting that phrase plus ועל תורתך שלימדתנו on Hebrewbooks here and on Hebrewmanuscripts.org manuscript #1762. This siddur is not clear how much exactly to omit. The Italian nusach Bnei Roma omits ועל בריתך שחסמת בבשרנו for women. Not the answer you're looking for? Browse other questions tagged history women nuschaot bentching . V'Al Brischa SheChasamta Bivsoreinu - ועל בריתך שחתמת בבשרנו - does a lady say this?